Voice over Internet Protocol (VoIP), also known as Internet telephony, allows business owners to make calls via broadband Internet (and therefore their desktop computer) by turning sound into IP packets and then transferring this via the Internet. VoIP offers many benefits over calls that are made via the traditional telephone system and phone lines, which are outlined below. Savings. All aspects of making calls via VoIP, including international calls, are cheaper than traditional phone calls, which translates into increased profit for businesses. Savings also come into play based on the fact that VoIP typically involves a monthly payment as opposed to being charged based on usage. VoIP’s lack of a need for IT staff also means greater savings. Overall maintenance is also significantly less expensive. Greater Reliability. For instance, in the event of a power outage due to bad weather, you can still continue to make calls, making it a much more reliable option than traditional phone services like landlines. This is particularly important when it comes to business continuity; even a few hours of a business being non-operational can cause significant damage to overall revenue. Similarly, not only is VoIP easy to use and install, potential issues are typically easier and faster to solve than problems with land lines, which often require a lot of tech support. Greater Convenience and Increased Productivity. Calls made via a VoIP telephone simply require Internet access. That means that regardless of where you are in the world, you will always be able to make a call. This serves businesses well when travelling, making it not only easier to conduct business while on the road but also increasing the overall productivity of your business. 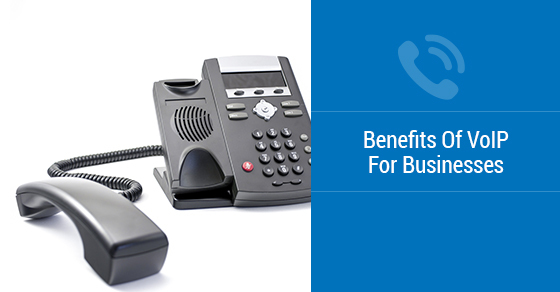 VoIP also increases productivity by storing data on one network. Greater Functionality. VoIP allows its users to do more than making calls. It also allows businesses to engage in video-conferences and share files and documents. Even more, customer relationship management applications can be integrated into VoIP phones. Customers can even call you via your website. It’s also handy that employees can make phone calls from remote, out of office locations. This multifunctional aspect leads to greater efficiency, productivity, better business relationships and ultimately greater revenue. Better Scalability. New components can easily be added if you eventually expand your business. It is much more economical than adding additional phone lines, which is both costly and time-consuming. If you are interested in VoIP for your business, contact our team of professionals at ThinkTel today. We have become the IP voice provider of Fortune 100s, government agencies and public institutions – we will find the service that suits your unique needs.